Alexandra Park is a pleasant oasis in southern Manchester. 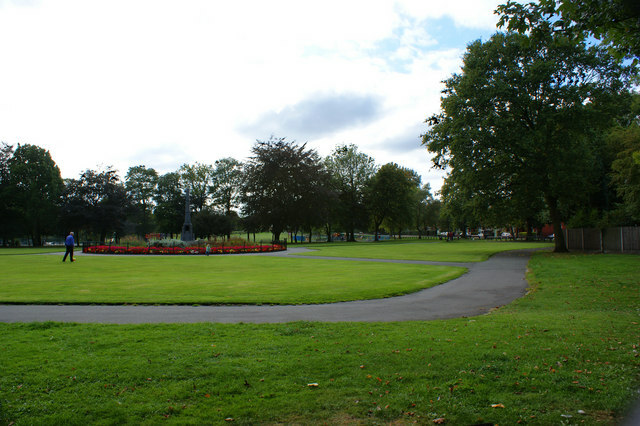 Located in the Whalley Range district off Princess Rd., the 60-acre park was designed in 1868 and was experimental at the time for its oval and curved pathways. A loop around the perimeter paths and main oval is 2.6 km (1.6 miles), with about 1/2 mile of additional paths in the park. The paths are paved and fairly flat. One bonus is that there are changing rooms with showers! Note there’s a popular 5k race on the first Sunday of the month. Also a location of a weekly Parkrun, the Ally Pally. 9am every Saturday. Information. Park entrance off Princess Rd.